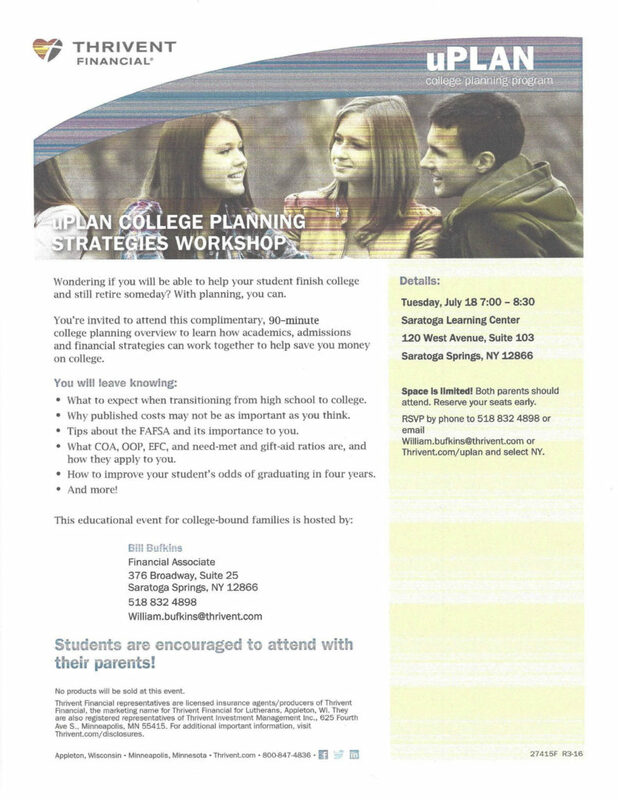 You’re invited to attend a complimentary, 90 minute college planning overview to learn how academics, admissions, and financial strategies can work together to help save you money on college. Join us at the Saratoga Learning Center on Tuesday July 18 at 7pm. Space is limited… please see the flyer to RSVP.